Hope you’re all doing well 🙂 Apologies for the lack in posts this week, i’ve been a busy gal!! SO many exciting things coming up, I can’t wait to share it with you! In the meantime, the fantastic Efectiv Nutriton have sent me their new Casein protein powder! I was so excited to get my hands on this so I can create some more delicious treats for you. I’ve made a Mint Chocolate protein mousse in the past for Efectiv (in my e-book available here – http://www.efectivnutrition.com/merchandise/recipe-book !!) but that was using avocado. So I’ve had a good think as what I can use as an alternative to avocado. I always have a tub of Total 0% Greek Yoghurt in my fridge, it is the best greek yoghurt I have ever used. It is so versatile, and came to the conclusion that it’ll be perfect in this recipe! 1. 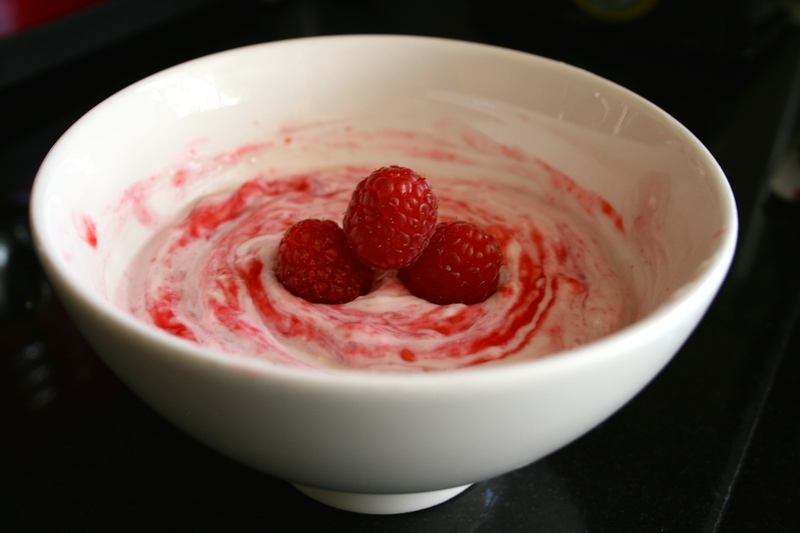 In a nutribullet or food processor, blend the raspberries with 1/2 tbsp of water so you create a lovely red sauce. Pour this into a small dish and put aside. 3. 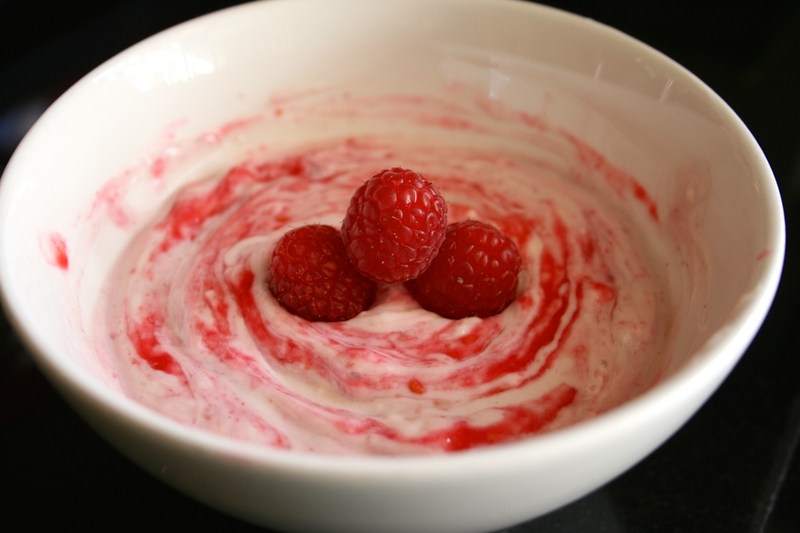 Pour into a dish, and gently create raspberry swirls using the raspberry sauce you made earlier. This is, to die for! So creamy, delicious & fruity. 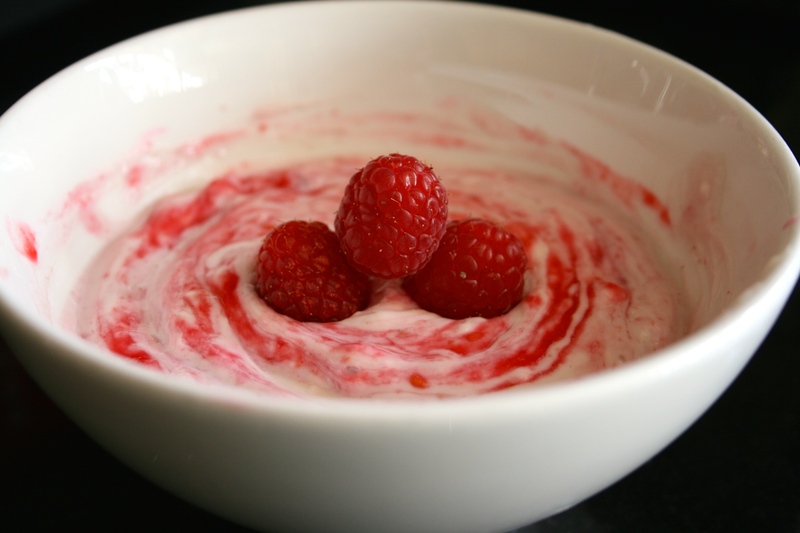 Raspberry is one of my favourite fruits and it goes so well with vanilla! 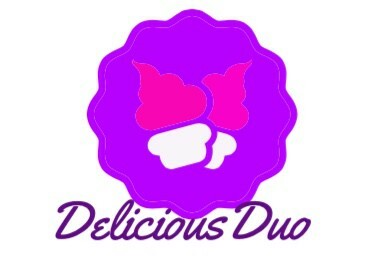 Match made in heaven really ❤ This is such a quick protein treat for anyone to make if they are craving something sweet but without the bad stuff. I’ll be having it tonight as my dessert cuddled up on the sofa after a busy but amazing weekend. 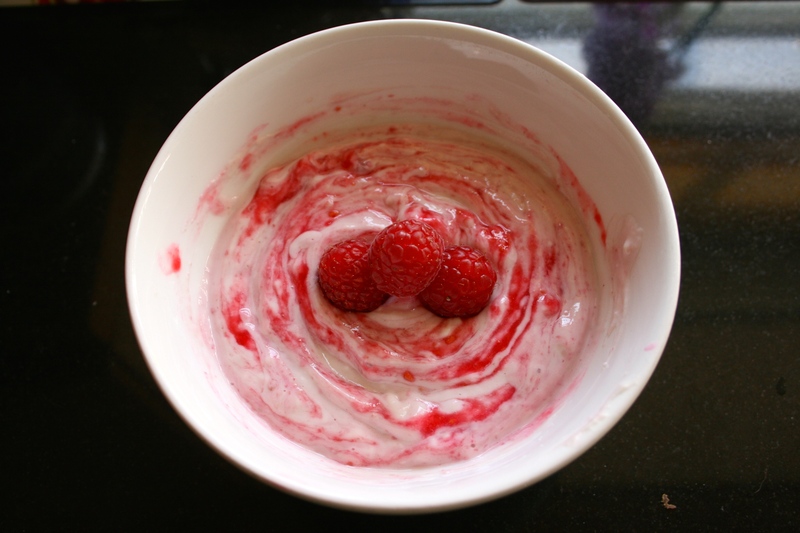 This entry was posted in Diet, Fitness, Food, Health, Recipes and tagged casein, clean eating, clean treats, delicious, Efectiv Nutrition, fruit, healthy, healthy eating, homemade, mousse, protein, protein powder, raspberry, recipe, Total Greek Yoghurt, treat, Vanilla protein. Bookmark the permalink.